In the women’s skate sprint qualifier in Lahti, Finland Slovenia’s Eva Urevc laid down the fastest time in 2:40.67 minutes. Swiss skier Nadine Faehndrich was the second fastest qualifier, 4.21 seconds back, with the U.S. Ski Team’s (USST) Sophie Caldwell third (+4.36). Canada’s Dahria Beatty qualified 25th (+10.21). Also making the heats for the U.S. were Ida Sargent (USST) in 26th (+10.36), and Kelsey Phinney (SMS T2) in 27th (+10.54). Of the top three qualifiers, only Caldwell advanced to the finals. The final was won by Norway’s Maiken Caspersen Falla in 2:43.64. Falla advanced to the finals as a lucky loser from the first semifinal. That semi was won by Caldwell who ended up placing second (+0.11) in the final. Sweden’s Maja Dahlqvist sprinted to third overall (+0.37). Germany’s Sandra Ringwald placed fourth (+0.46), Norway’s Mari Eide fifth (+0.75), and Tiril Udnes Weng of Norway sixth (+0.94). Phinney placed 19th overall, Sargent 30th. Canada’s Beatty was 24th in the final standings. 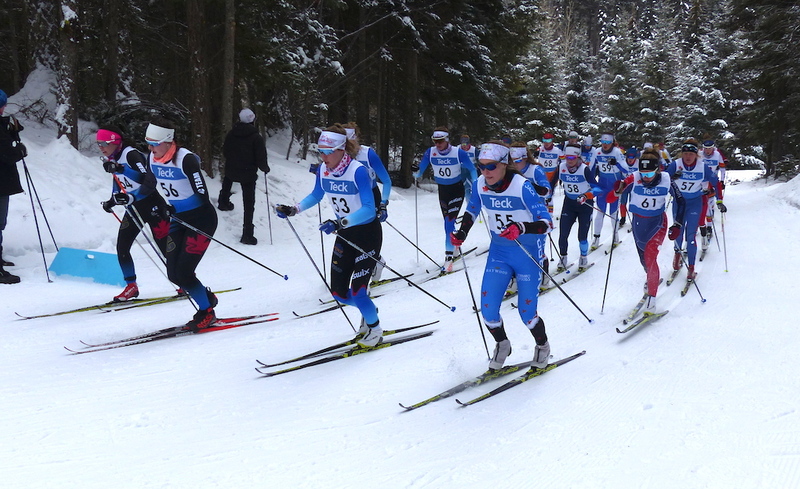 Also for the U.S., Julia Kern (USST D-Team) coming off of illness ended her day 38th overall. Hannah Halvorsen (USST D-Team) placed 41st. No other North Americans were entered. Johannes Høsflot Klæbo won the men’s 1.6 k skate qualifier in 2:47.01 minutes. He was followed by teammate Haavard Solaas Taugboel in second (+4.15). Qualifying in third was Finland’s Joni Maeki who clocked a time of 2:51.36. Klæbo won the final in 2:52.06 while Italy’s Federico Pellegrino raced to second (+0.30). Norway’s Finn Hågen Krogh was third (+0.61). Also from Norway, Eirik Brandsdal took fourth (+1.31) and Emil Iversen fifth (+1.75). Gleb Retivykh of Russia was sixth (+2.08). No North American men qualified for the heats. Logan Hanneman (APU) for the U.S. placed 32nd overall after missing the heats by .22 seconds. 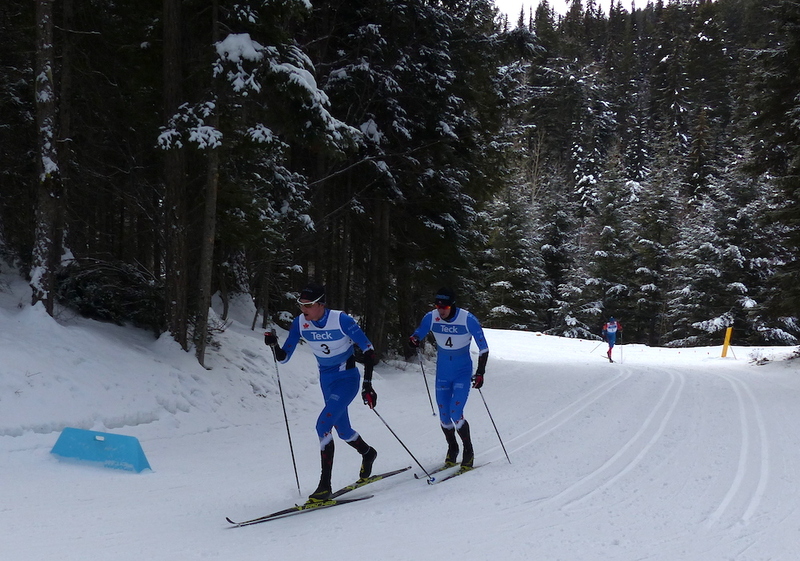 Simi Hamilton (USST) finished 36th overall, and Erik Bjornsen (USST) 42nd. Evan Palmer-Charette was the lone Canadian entered; he placed 67th. Day two of Westerns dawned with low clouds and intermittent light snow at -11C for the classic mass starts. The men raced first, completing three laps of the new (and freshly homologated) 5km loop. Rémi Drolet (Black Jack) won in 42:18.4, getting from Julien Locke (CNST) on the last climb to earn a 4.8 second gap. Sam Hendry (Team R.A.D.) stayed with leaders until late in the second lap, finishing 42.2 seconds back. Rémi Drolet and Hendry are juniors who represented Canada at Junior Worlds in Lahti last month. The open women skied two laps of the same course, with Novie McCabe (Methow) breaking clear on the first lap to win alone in 32:46.6. Jasmine Drolet (Black Jack) was second at 53.4 seconds followed by teammate Molly Miller at 1:28.1. All three raced at World Juniors in Lahti: Jasmine Drolet is 16 and the other two are 17. There were 386 finishers on Saturday. Racing continues Sunday with relays.